Statistics taken from the Cradley Speedway database includes ALL matches. Ellis was the sensational scoop for the Heathens in 2015 and he lived up to his reputation scoring 41 points in his first three matches in Heathens colours, including an 11 point paid maximum on his debut! He was soon snapped up by Scunthorpe in the Premier League however he went through quite a tricky patch of form following quite a serious knee injury he lost his confidence a little and was released by the Scorpions. 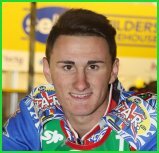 He was soon back to his top form again with some superb scores - 14 at Mildenhall, 13 at home against Birmingham, 12+3 at Somerset - Cradley v Exeter, a massive 20+1 paid maximum against Stoke, 15 against Buxton, 13+1 at Sheffield and 12 against Birmingham in August. However the following week was the Golden Hammer and he had a terrible night with two falls and two retirements with bike problems. He soon got over it though with scores of 7 at Kings Lynn and 10 against Kings Lynn at Perry Barr. 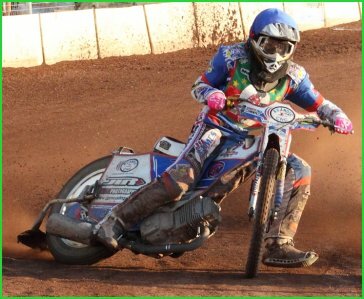 Then when the Heathens rode two matches on Sunday 13th September Ellis withdrew during the first match at Coventry following a crash with Rob Shuttleworth which wrecked his bike caused Tyler Govier to crash. Ellis took no further part - with a broken hand and his season was over and he returned to Australia.